Posted 08.09.2016 at 09:09 in blog by admin / Comments Off on What is Root Canal Treatment? Modern dental disease treatment concept aims at the restoration of decayed, damaged and fractured teeth at all costs instead of opting for removal of teeth to remove the cause of infection and dental decay. Loss of natural teeth can lead to compromised chewing, eating, swallowing and lack of growth and development especially in your children. You will feel handicapped following removal or loss of your natural teeth and lose confidence at work. People feel embarrassed during smiling, talking and laughing at social meetings and wedding parties due to display of missing spaces in the mouth. Get in touch for Albuquerque New Mexico Dentists For Root Canal. Prevention of dental decay occurrence with the help of regular tooth brushing, flossing and mouth rinsing remains the major therapy for oral and dental disease prevention. However, our daily lifestyles and intake of fast foods and cola beverages have alarmingly increased the incidence of tooth decay. Simple fillings suffice if decay involves the outermost white enamel layer and some portion of the yellowish sensitive dentine portion beneath it. When this infection involves the innermost soft dental pulp tissues harboring the tooth’s nerves and blood supply, your 24 hours emergency cosmetic & restorative dentist Dr William C Gardner at NM Family and Cosmetic Dentistry PC strongly advises you to opt for specialized root canal treatment procedures for saving your teeth. A. It is a specialized dental treatment therapy which aims at the complete removal of infected nerves and blood vessels within the pulp portion of teeth, disinfection and sterilization of inner infected spaces within the canals with the help of specially designed files and chemicals followed by placement of inert filling materials within the prepared spaces created by removal of dental pulp tissues. Permanent filling is placed above the root canal filling to restore the crown tooth portion. Q. IS ROOT CANAL TREATMENT PAINFUL? A. It is a general perception that root canal treatment procedures inflict pain and discomfort during removal of infected tooth’s nerves and instrumentation of root canal spaces. Dr William C Gardner administers profound local anesthesia with the help of fine dental needles in order to ensure painless root canal treatment procedures for you. Pre-treatment pain killers given 30-60 minutes before the procedure help in minimizing post-operative pain. Our dental office is well-equipped with specialized nitrous oxide sedation for anxious and phobic patients. Q. DIFFERENT STEPS ON MY CONSULTATION VISIT FOR ROOTCANAL TREATMENT? A. Dr William and his team of dental health care professionals will take your complete medical and dental history before comprehensive visual and radiographic examination in order to finalizing the diagnosis of dental pulp disease. You will learn all the procedures, equipment, instruments and materials that are in use during the therapy. You will also sign a consent prior to the start of treatment. Your tooth will be drilled to remove decayed and infected enamel and dentine tissues to get access to the root canal spaces. 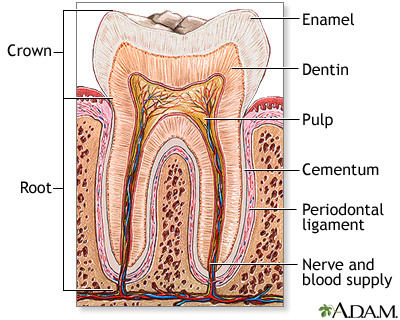 Root canals will be prepared and disinfected followed by placement of root filling materials. Post-filling instructions will be given for long term retention of tooth within your mouth for the restoration of structure, function and esthetics. Q. WHAT AFTER THE COMPLETION OF ROOT CANAL TREATMENT FOR LONG LIFE OF MY TEETH? • Select for the placing of of dental crown over the root canal teeth for providing an additional protection and coverage. Q. WHAT ARE THE BENEFITS OF ROOT CANAL TREATMENT? • Prevents supra-eruption of opposing teeth which may occur in cases of tooth extractions.